This fresh and tasty salad is super addictive, dead easy and is an impressive side dish for any Japanese themed dinner–planning a DIY sushi night? Make this too. Boil a pot of slightly salted water and boil the edamame for 2-3 minutes, removing from hot water and refreshing under cold water immediately. Slice the spring onions on an angle and cut the kale into very thin strips. 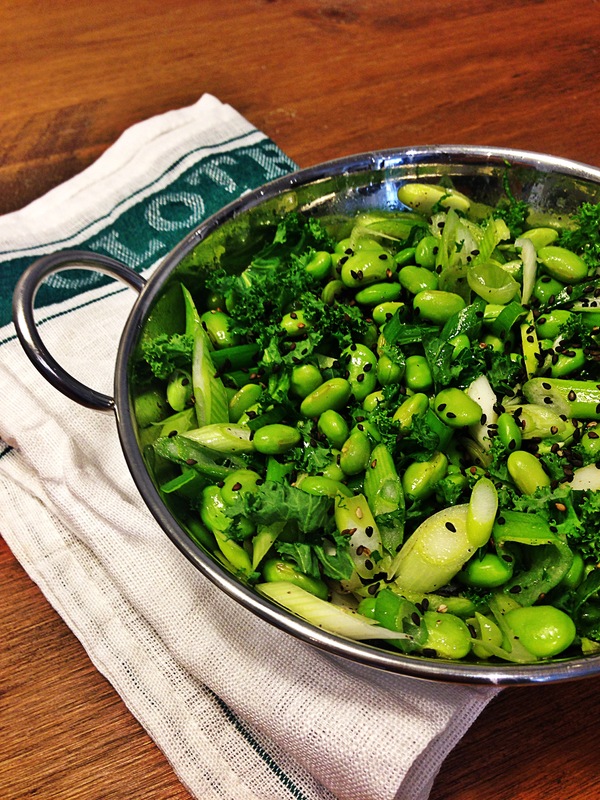 In a medium sized bowl, mix the spring onions, kale and edamame beans well and drizzle with some sesame oil, the juice of at least one lime, and season with salt and pepper. Sprinkle with the sesame seeds and serve! It might have a long ingredient list, but don’t hate–just go with it. I promise, this salad will make all your dreams come true. Preheat the oven and prepare a baking sheet with greaseproof paper. Cut the tomatoes and the baby shallots into chunks and arrange on the sheet. Drizzle with olive oil, honey salt and pepper and roast for 30-40 minutes until it starts to get a little bit blackened. Meanwhile cook the quinoa using a ratio of 1:2 (1 cup quinoa, 2 cups water) by bringing the quinoa to a boil and then letting it simmer until the water is absorbed and it’s sprouted. 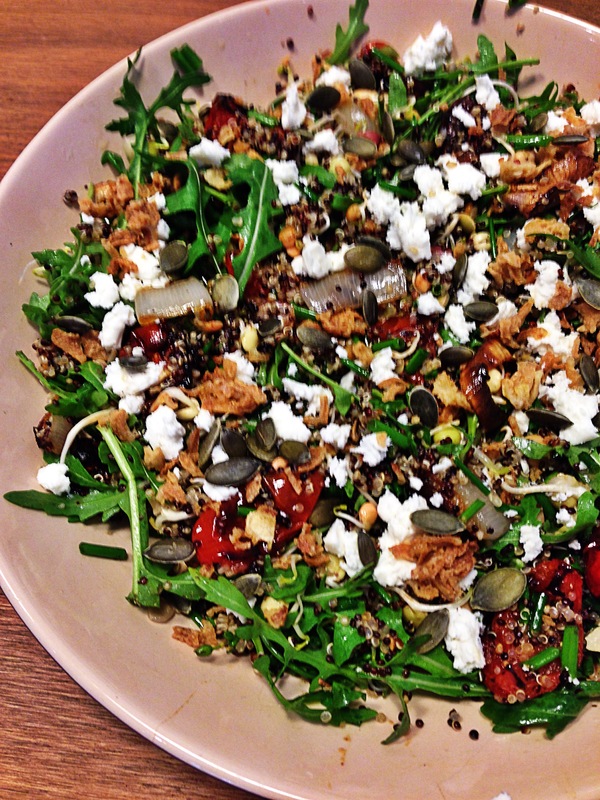 In a large bowl arrange the other salad items except for the feta and crispy onions. When the quinoa is finished, remove it and run it under cold water in a strainer to cool it off. Toss the quinoa with the leaves and beans. Once the onions and tomatoes are done add them as well–smush the onions so that the segments separate. Top with crispy onions and feta. Drizzle with a little vinaigrette of olive oil, cider vinegar, lemon juice and honey or agave syrup. Season with salt and pepper. 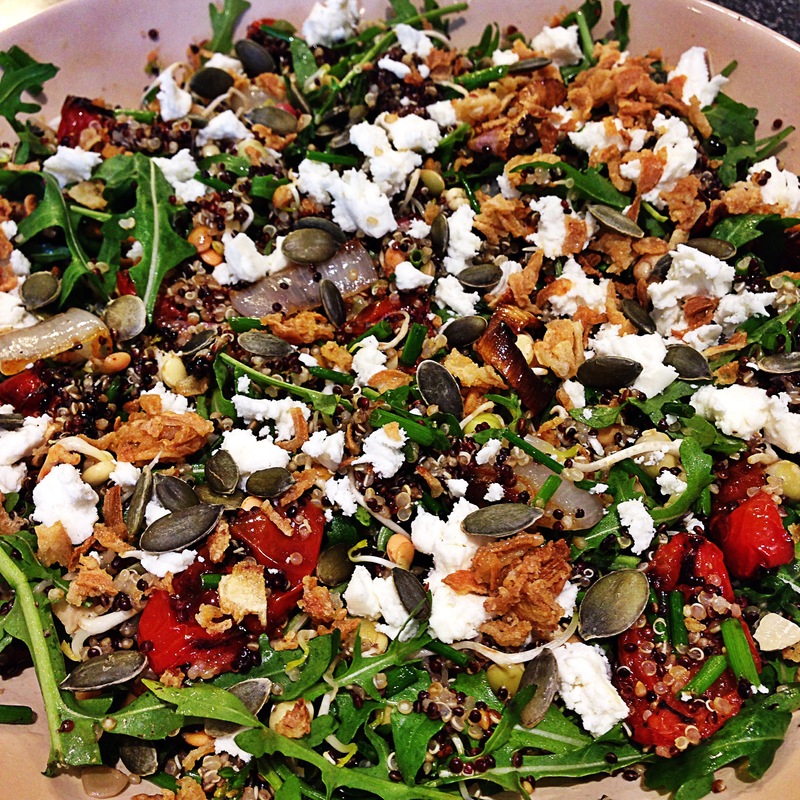 With toasted sweet chilli pumpkin seeds! 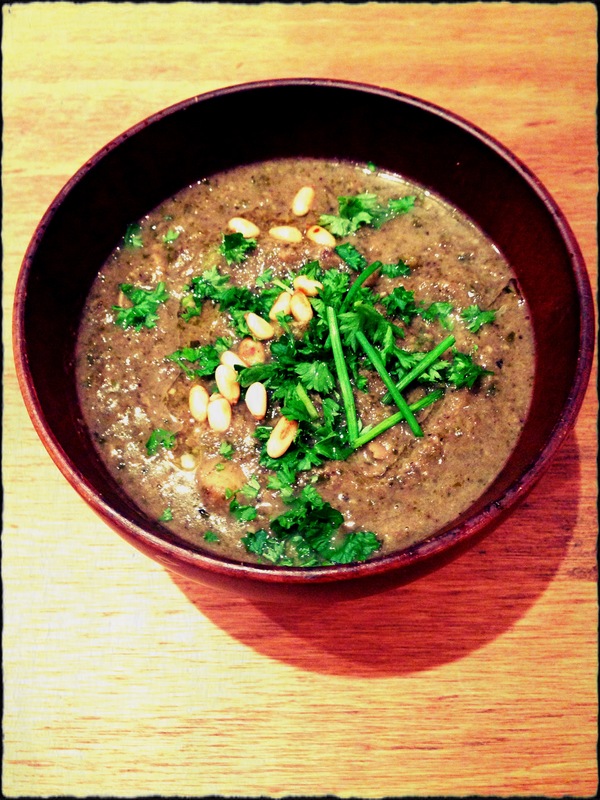 Here is a recipe for a terribly healthy soup that is also so delicious that you won’t even realise how good for you it is. The beautiful green colour is perfect for springtime and the ingredients are simple and accessible. Boil a kettle of water and chop the courgette into small pieces, finely chop the onions and garlic. Warm up your oil in a soup pot and add the onions, garlic and grated ginger. Sautee for a few minutes and then add the courgette and beans. Cover with water or stock (or just toss in a stock cube) and bring to a boil. Once it’s boiling, lower the heat to a simmer, cover and allow to simmer until the veggies soften. While the soup is simmering, dry fry some pumpkin seeds in a frying pan for a few minutes. Once the seeds start to pop and dance around in the pan, remove from the heat and drizzle with honey and sprinkle on the chilli flakes. toss the seeds in the pan with the honey and chilli and remove into a bowl. You can add some seas salt on them as well and have a bit of a snack. DELISH. 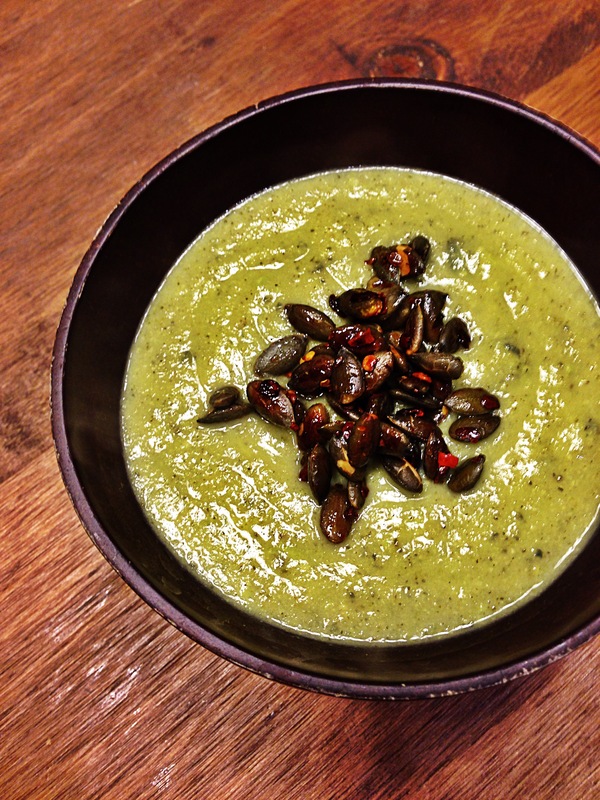 Once the veggies have softened, use an immersion blender to puree the soup. Taste, and then add some lime juice, soya sauce and salt and pepper until it’s seasoned to your liking! This dish is the ultimate side-dish for any meal with Mediterranean vibe. It practically screams “serve me with fish!”. I also think this works wonderfully as a lunch; the meaty and spicy aubergine, the fresh salad and cool yogurt work beautifully together and it’s a cinch to prepare. Have a go and you’ll be very impressed with yourself. For the chermoula: 2 cloves of garlic, ground cumin, ground coriander, chilli flakes, sweet paprika, olive oil and a tiny squeeze of tomato paste (if you’ve got some handy). Next, cover the couscous or bulgur with boiling water and seal, allowing the water to hydrate the grains and cooking it. Using a glazing brush (or a spoon if you don’t have one) spread the chermoula all over the flesh of the aubergines, as evenly as possible. 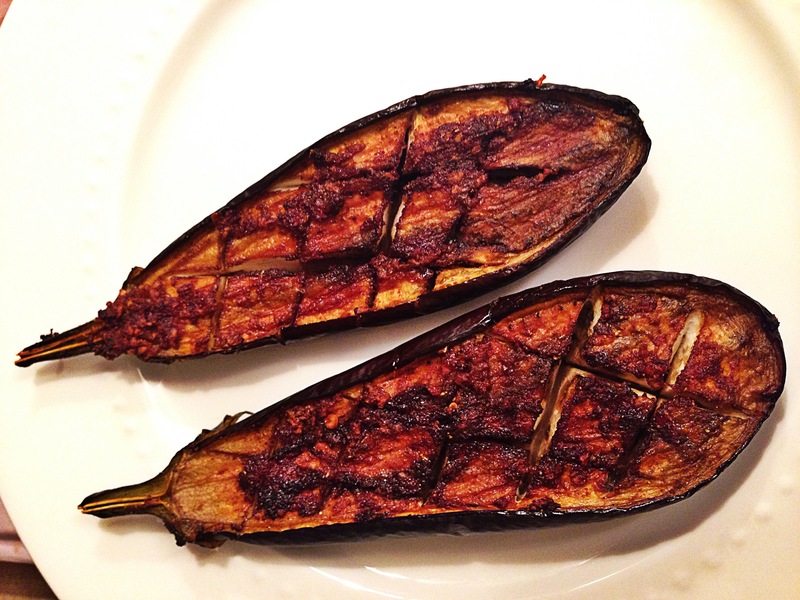 Place the chermoula coated aubergine, flesh side up on a lined baking tray, and roast in the oven for about 4o minutes or so, checking on it frequently to make sure they don’t get too dark or shrivelled. 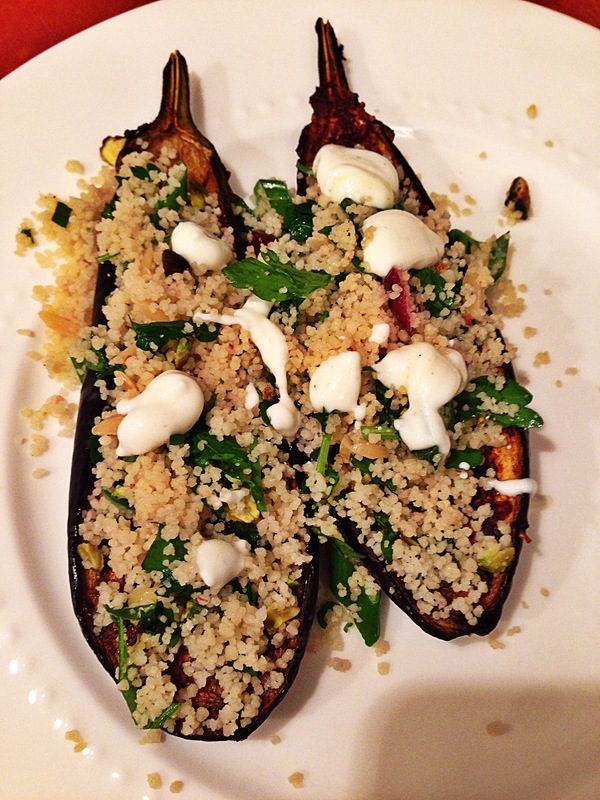 While the aubergines are in the oven, make a little salad by combining the couscous/bulgur, the chopped herbs and spring onions, lemon juice, olive oil and some salt and pepper. Season this salad very lightly so that the freshness isn’t overpowered. 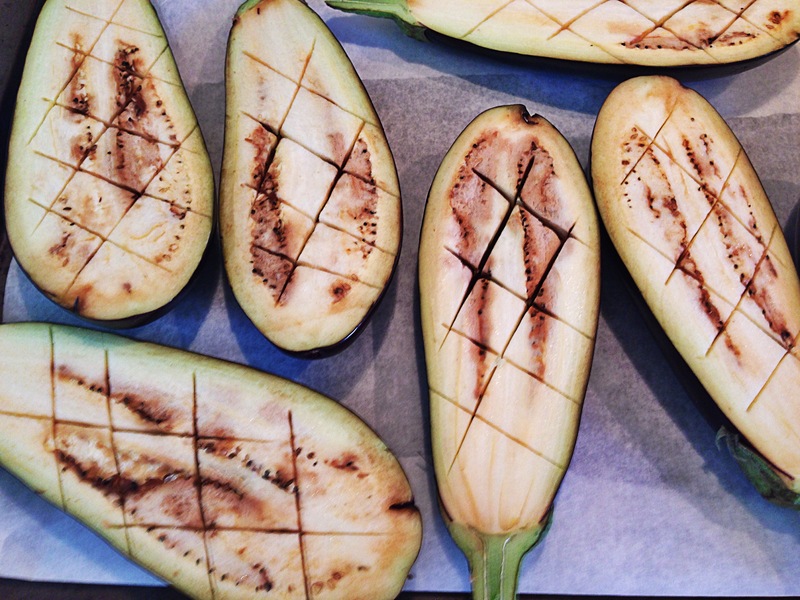 When the aubergines are ready, take them out of the oven and let them cool down a bit. Spoon the little salad over the cooled off aubergine and finish off with a sprinkling of dried cranberries, and a dollop of yogurt (see pic above). 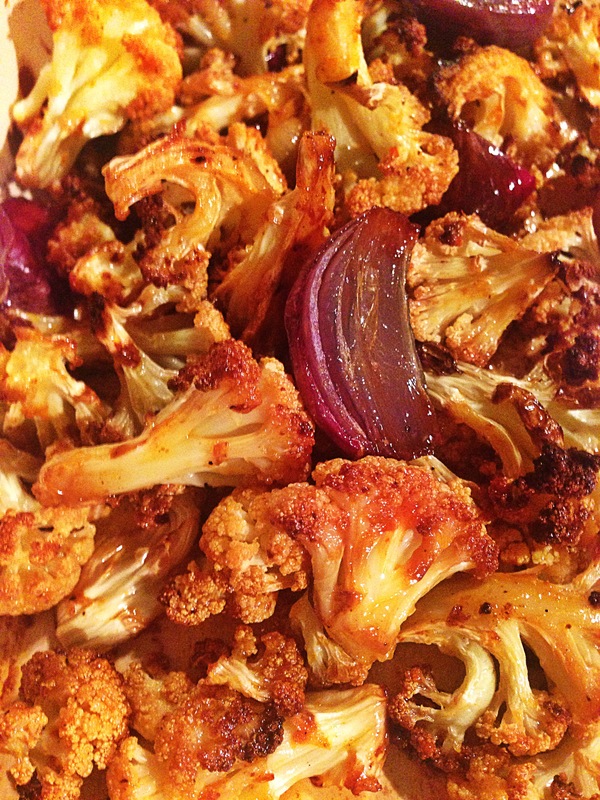 I’ve been getting some requests to post the recipe for my Roasted Sriracha Cauliflower Tacos. I wasn’t originally going to write up a recipe because to me, the at-home-street-taco-supper-time experience is a personal, creative and unique experience. It’s different for everyone! So below is a how-to guide on creating street tacos at home. I’m using my vegetarian cauliflower taco recipe as the example, but possibilities for fillings are endless! The key is to master perfect ratios of soft to crunchy, sweet to salty, spicy to tangy etc. in order for every bite to be perfection. I always cheat and buy store-bought flour tortillas, the mini ones, but you can also make your own tortillas (use google for this) or, if you’re trying to be really healthy, lettuce leaves (baby gem lettuce is good for this). For a meaty vegetarian filling, I think the best way to go is with roasted cauliflower and/or mushrooms (portobello is best). The mushrooms and cauliflower shrinks significantly, so for tacos for 2 people, a medium sized head of cauliflower and about 3 large portobello mushrooms would suffice. Double quantities accordingly. Of course, you CAN use actual meat for this component. Chicken, is always very yummy and shrimp is also a nice choice. Simply marinating the protein with some lime juice and chilli flakes (perhaps some honey) and then stir frying until cooked would do the trick. 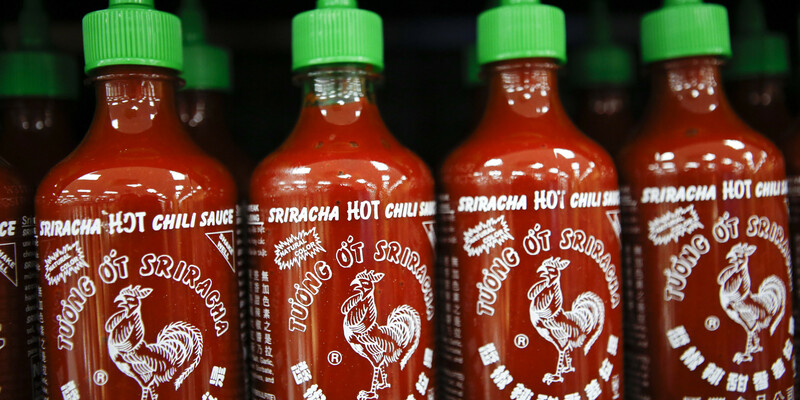 Ample use of Sriracha is always encouraged. No limitations! Use whatever you want! You want to shred or thinly slice the slaw veggies and toss in a small bowl with lemon and lime juice. This will give the veggies a quick-pickling”effect giving you a crunchy, acidic and zesty compliment to the spicy garlicky roasted “meat”. Season with some salt and pepper and a sprinkling of sugar if you desire. 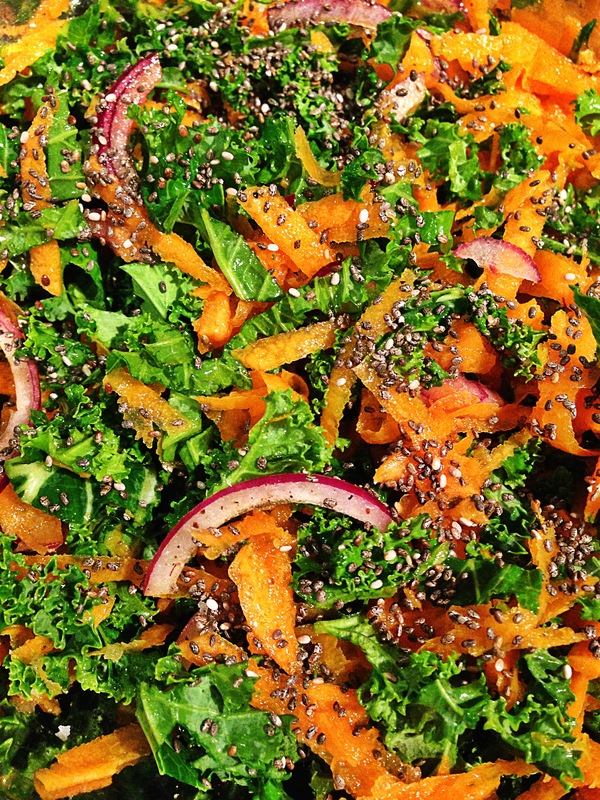 To health-ify the slaw you can also add some hemp seeds or chia seeds, sunflower seeds or flax seeds etc. This will provide a nutritious nutty crunch! Obviously, if you’re going the vegan route, this part isn’t really relevant. However I can’t really enjoy a street taco without some tangy cheese. For this, a small sprinkling of sharp cheddar is all you need. You can also use some crumbly feta or goats cheese as well. I just seriously love cheese, straight up. To me, an assortment of dipping sauces for a street taco is the ultimate luxury. And there’s nothing nicer than fresh homemade salsa and guacamole. These are basic salsa and guac recipes, go ahead and make them the way you like want! To make a homemade salsa, simply dice some tomatoes (removing seeds and pulp) some red onions, coriander, spring onions and a crushed garlic clove. Squeeze over some lemon juice and a bit of olive oil and tabasco sauce, stir and you’re good to go! For the guacamole, smash a ripe avocado, mixing with lime juice, and some chopped fresh mint. For a chunkier guac, add some chopped cucumber. The sauce is the time to get really spicy so if you like the spice, load the salsa and guac with killer levels of chilli flakes, cayenne and tabasco. Some people also enjoy a cool sour cream or yogurty dip. If this is pleasing to you–go for it! Never put tomatoes in the taco, it makes everything soggy, causing contents to slip out and therefore hinders the enjoyment of the taco. Same goes for sauce; it’s always smarter to dip the completed taco in the sauce after it’s constructed. 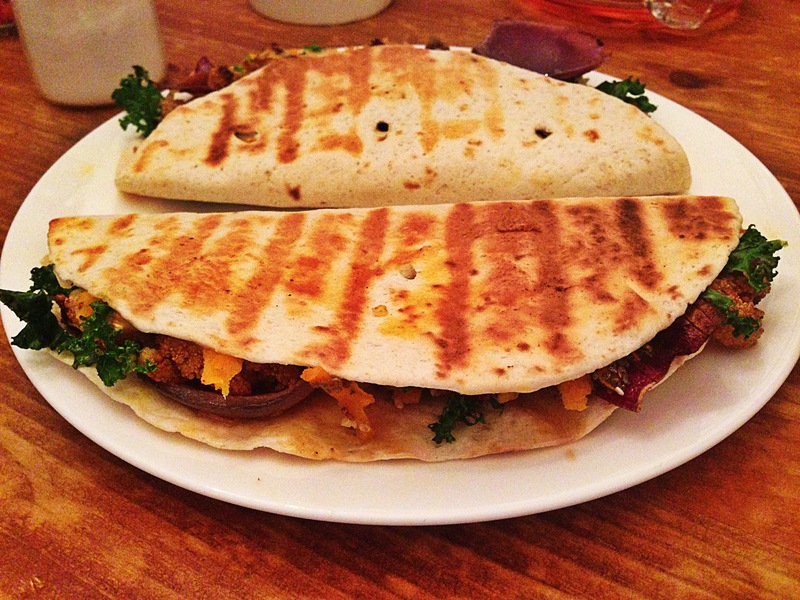 If you’re using cheese, make sure to distribute cheese evenly among the other taco fillings. Proper cheese distribution is essential. Don’t be over-zealous with your fillings, be strategic and show restraint. There’s nothing more disappointing than having a delicious taco fall apart on to your plate (or worse, your lap). Real talk. This is the perfect soup recipe for this time of year. It’s rich and comforting which is desired during this atrocious weather. It’s also healthy for everyone who’s trying to stay on track for at least two weeks of detox and healthy eating resolutions and whatnot–it’s vegan. It’s also got a bit of wine in it. Another win. This recipe makes about four bowls. Double if you want a batch for the week. 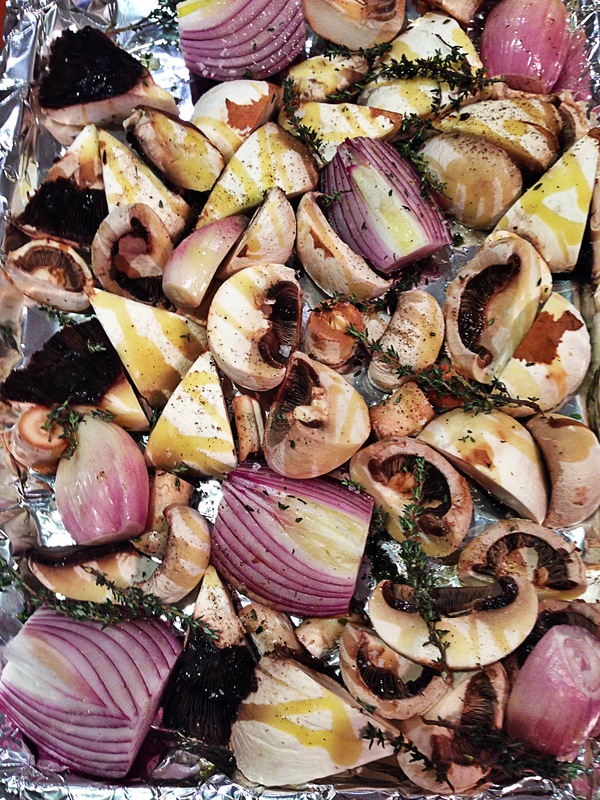 Preheat the oven and on a lined roasting tray, drizzle some olive oil and add the mushrooms, onions and thyme. Drizzle with more olive oil, season with salt and pepper. Note: If you can’t get your hands on black garlic and are just using regular garlic, add the cloves on to the roasting tray now as well. Allow the mushrooms to roast for about 20 minutes, stirring once or twice and roasting a bit longer if needed. You want the onions to be soft and cooked down and a bit blackened, but you don’t want the mushrooms to shrink too much. Just before you’re ready to get the mushrooms out of the oven, warm some olive oil in a saucepan over medium-high and add the celery, seasoning with salt and pepper and sautéing until soft and a bit caramelised. Take the tray of mushrooms, onions and thyme out of the oven, remove the thyme twigs allowing the leaves to crumble onto the veggies and pour everything into the saucepan. Add the kale, the black garlic and stir. Pour the wine over the vegetables and stir for a few seconds until the wine is absorbed, then cover everything with hot water (add enough water to cover all the vegetables; add more water if you want a thinner soup. )Throw in the stock cube, bring to a boil and then cover and let simmer on a lower heat for about 10 minutes. Using an immersion blender, blend to the smoothness of your choice. Season with sea salt and cracked black pepper, top with some chopped fresh herbs, toasted pine nuts, parm or some giant croutons. Now that I have Plenty More, Ottolenghi’s newest masterpiece, I’ve found myself getting reacquainted with Plenty, the equally inspiring prequel to this Vegetarian Bible. 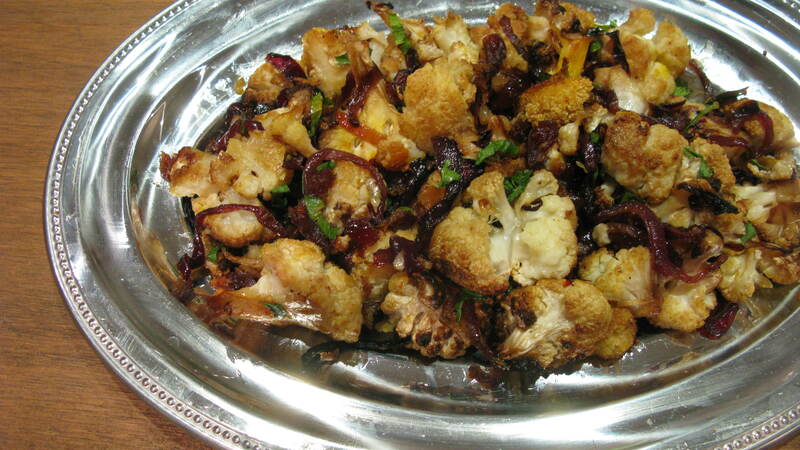 I’m always intrigued by the array of other ingredients Ottolenghi uses to compliment the cauliflower. 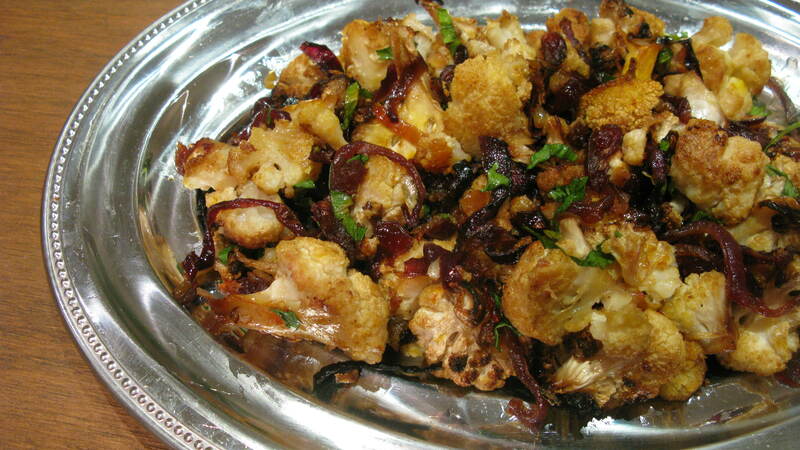 I’m fixated on roasted cauliflower, and because of this, I only took elements of his original recipe to cook this. He kind of steams the cauliflower and I was insistent on making sure mine was well-and truly roasted. 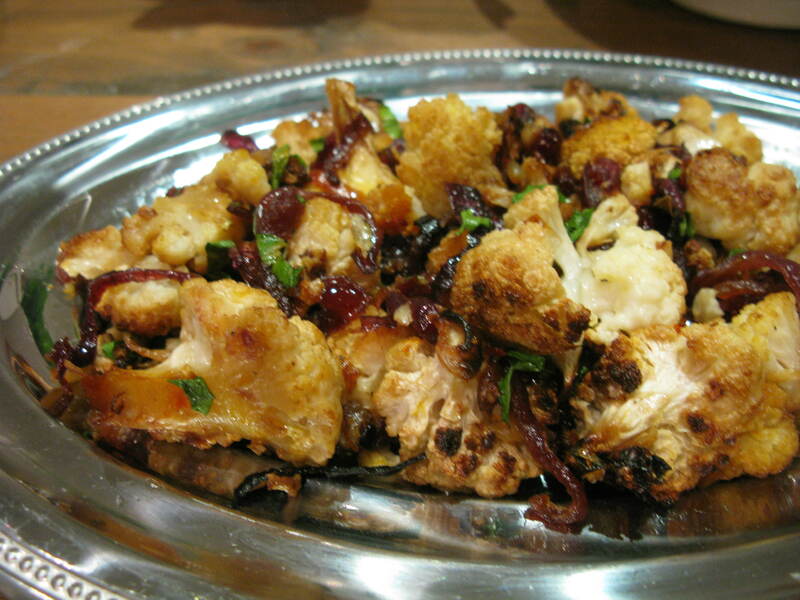 But the flavors he uses in this dish go so well with the cauliflower that I used pretty much all the same ingredients. I would highly recommend this as a side-dish for any Middle-Eastern style meal. The saffron and raisins (I think I used dried cranberries) make it seem like a dish I would imagine royalty eating back in ancient Persia. And I could totally get into that. About 1/3 cup of raisins, sultanas (still don’t know what those are) or dried cranberries which I used. Preheat the oven to about 200c/356f. Putt the saffron threads into a small bowl and cover with the boiling water, stir gently and leave to infuse for a minute or so. Then pour the saffron water over a large bowl containing the cauliflower, onion slices, cranberries, olives, bay leaves and about 4 tablespoons of olive oil. Mix everything well and transfer everything to a roasting dish. If you want the cauliflower to be a bit more steamed add all the water at the bottom of the bowl. For more of a roasted taste, leave the water. Sprinkle everything with salt and pepper, and roast for at least 40 minutes, stirring regularly until the cauliflower shrunk down and golden brown. Now you’re ready to eat like an ancient Persian emperor.